Rising propensity of precipitation extremes and concomitant decline of summer-monsoon rains are amongst the most distinctive hydroclimatic signals that have emerged over South Asia since 1950s. A clear understanding of the underlying causes driving these monsoon hydroclimatic signals has remained elusive. 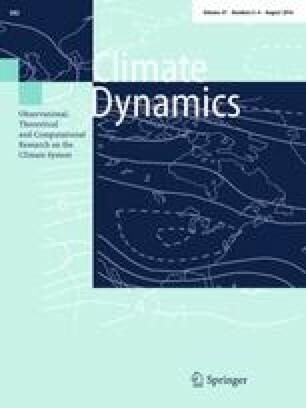 Using a state-of-the-art global climate model with high-resolution zooming over South Asia, we demonstrate that a juxtaposition of regional land-use changes, anthropogenic-aerosol forcing and the rapid warming signal of the equatorial Indian Ocean is crucial to produce the observed monsoon weakening in recent decades. Our findings also show that this monsoonal weakening significantly enhances occurrence of localized intense precipitation events, as compared to the global-warming response. A 21st century climate projection using the same high-resolution model indicates persistent decrease of monsoonal rains and prolongation of soil drying. Critical value-additions from this study include (1) realistic simulation of the mean and long-term historical trends in the Indian monsoon rainfall (2) robust attributions of changes in moderate and heavy precipitation events over Central India (3) a 21st century projection of drying trend of the South Asian monsoon. The present findings have profound bearing on the regional water-security, which is already under severe hydrological-stress. The online version of this article (doi: 10.1007/s00382-015-2886-5) contains supplementary material, which is available to authorized users. The LMDZ4 simulations were performed on the IITM HPC. We thank Director, IITM for extending full support for this research. IITM receives full support from the Ministry of Earth Sciences, Government of India. We acknowledge Josefine Ghattas and Sebastien Denvil from LMD/IPSL for computational support and M. V. S. Ramarao, CCCR for analysis and technical support. We thank the Editor Prof. Jean-Claude Duplessy and the anonymous reviewers for providing constructive comments. This work is partly supported by the NORINDIA Project 216576/e10.